My 21 month old Indee and I had a Momma/Daughter date Saturday afternoon at a quaint cupcake boutique called Cupcake Chic! We walked in and immediately my Little Gal walked over to a fun display with lots of cute and girlie things such as lip gloss disguised as a cupcake, sweet little hair clips and cake stands! Don't let me forget to mention the cupcakes! Well worth the visit! My personal favorites? 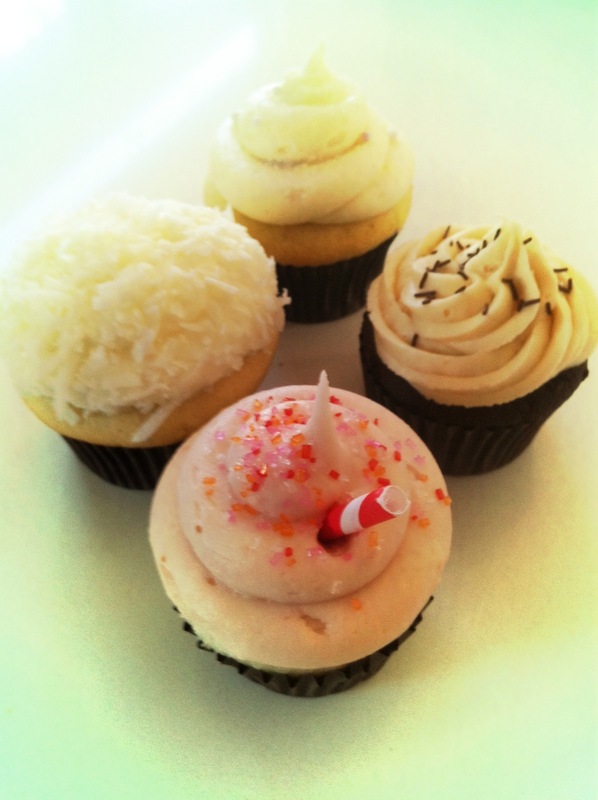 The coconut cupcake and the strawberry lemonade cupcake! Give them a try if you live in Orem or the next time you're in town! They are conveniently located off of 8th east by Costco and the Cinemark movie theaters! Indee's own lil mini! 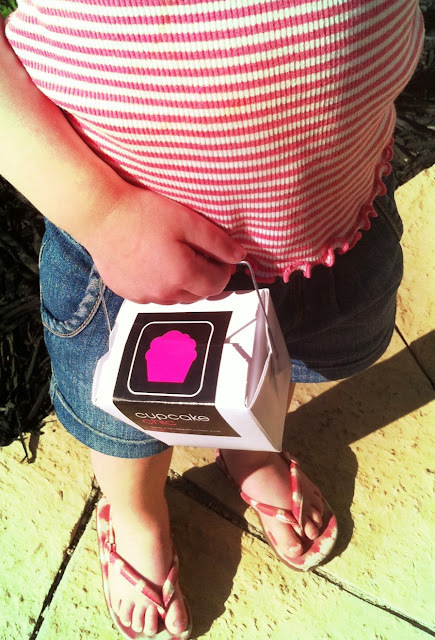 She chose a Key lime pie mini cupcake! Sounds delish - can't wait to try it out!